Brooke grew up in Cold Lake, working on her parent's farm and helping in her father's veterinary clinic. She went to the University of Saskatchewan, graduating from the Western College of Veterinary Medicine in 2006. After working at a mixed animal practice in Peace River for 4 years, she returned to open the Cold Lake Veterinary Clinic in August 2011. She and her husband have three young sons, a dog, several horses, chickens, and a small cattle herd. Autumn is originally from southeast Missouri. She obtained her DVM at the University of Missouri in 2009. She started working here at the Cold Lake Veterinary Clinic in 2012 after her husband was posted here with the RCAF. Prior to coming to us, she practiced small animal medicine and surgery in North Carolina and southern England. She currently lives in Cold Lake with her husband, their daughter, and their two cats, George and Indy. She continues to practice small animal and exotic medicine, surgery, and dentistry here at the Cold Lake Veterinary Clinic. Kaitlyn grew up in Teulon, Manitoba where she was raised around various animals on her family’s acreage. Growing up in this environment, Kaitlyn knew that she wanted to be a veterinarian from a very young age. She developed a love of all animals, but her main interest was her family’s horses. Kaitlyn competed in horse shows, participating in eventing, dressage, and hunter/jumper competitions in Western Canada. Kaitlyn attended the University of Winnipeg where she completed her veterinary pre-requisites and a Biochemistry degree and graduated from the Western College of Veterinary Medicine in 2014. 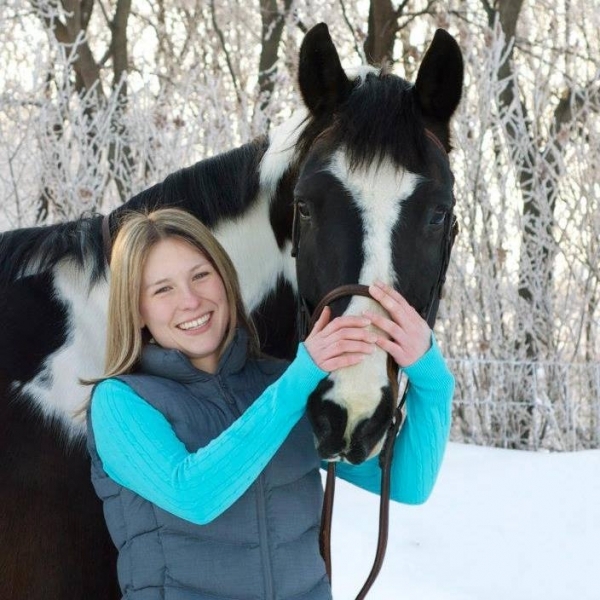 Upon graduation, Kaitlyn made the move to Cold Lake with her horse, Nick. Since joining the Cold Lake Veterinary Clinic team she has acquired two dogs and two cats and continues to foster various rescue animals. In her spare time Kaitlyn enjoys training in beginner agility with her dogs and in dressage with her horse. Kaitlyn’s main veterinary interests are small animal medicine and surgery and equine medicine. Anika joined the Cold Lake Vet Clinic team after graduating from the University of Calgary Veterinary Medicine program. Besides working at the Cold Lake Vet Clinic as a summer student, she has also worked on a Dairy farm in New Zealand, on a cow-comfort project in Kenya with Veterinarians Without Boarders, and on Dr. Neil Cory’s cow-calf farm. She was raised in Alberta on a farm that housed her father's mixed animal veterinary practice. Anika lives on her farm south of cold lake with husband and beagle named Buck. Her hobbies include travelling, running, hiking, kayaking, snowboarding, snowshoeing, and horseback riding. She is hoping to build a small cattle herd in the next few years. Although Anika has a special interest for cattle, she enjoys all aspects of mixed animal practice and is looking forward to working with the pet owners and farmers of the Cold Lake area! 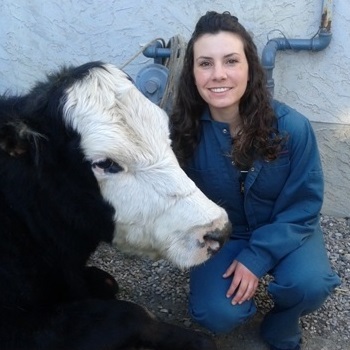 Megan is the most recent addition to the Cold Lake Vet Clinic team. Megan was raised in Cold Lake after her dad was posted here while she was in elementary school. She went to the University of Saskatchewan for her studies and graduated from the Western College of Veterinary Medicine in the spring of 2018. She has worked during the summer break for the Cold Lake Vet Clinic for the past 6 years while attending school and now practices full time at the clinic. Megan mostly works with small animals and has a special interest in small animal surgery and orthopedics. In her free time, Megan enjoys spending time with her husband, 3 dogs and 2 cats and especially enjoys all the walking opportunities around Cold Lake.